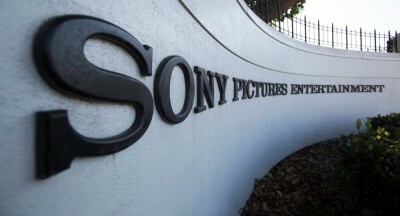 A record, call it a database if you will, featuring 173,132 emails and 30,287 documents specifically relevant to Sony’s US subsidiary Sony Pictures Entertainment (SPE). This is the stash that WikiLeaks has made available for consumers of information. The material was the subject of the infamous hack that Washington insists came from North Korea, a claim that is still vigorously disputed. According to Julian Assange, “The archive shows the inner workings of an influential multinational corporation.” For the publisher, “It is newsworthy and at the centre of a geopolitical conflict. It belongs in the public domain. WikiLeaks will ensure it stays there.” According to his critics, it is merely a trove of gossip that did more to harm privacy than necessarily affirm any earth shattering developments. Sony’s retained lawyer Boies Schiller has aggressively attacked WikiLeaks. “Despite its purported commitment to free speech, WikiLeaks’ conduct rewards a totalitarian regime seeking to silence dissident speech, and imposes incentives on entities such as SPE who depend on trade secrets, confidential information and protection of intellectual property to exercise their First Amendment rights every day.” SPE are the self-appointed guardians of good secrecy over bad. Journalists have certainly been trawling the material to see if there is anything of value. There is certainly much in terms of bird feed. Email correspondence between actress Natalie Portman and Sony Motion Pictures Group Chairwoman Amy Pascal is cited as showing the modest efforts of chat activism over last summer’s conflict between Hamas and Israel. Pascal had better things to do than dabble in Portman’s moral universe. Privacy needs to be proportionate to the context of power that is wielded. Those, be they government officials with power of life and death over individuals, or entities with deep pockets and networks of influence, should be more transparent. Not so SPE, which sees its operations as necessarily clandestine in an aggressive world of trade secrets and policing. The wisdom for the technocrats and bureaucrats is the reverse: the more complex society becomes, the more ill-informed the public must be for them to succeed. Platonic high castes come in to fill the void, offering the paternal guidance. Accept the secrecy directive – we know best. It should come as little wonder, then, that Sony Pictures’ CEO Michael Lynton warms a seat on the board of trustees at the RAND corporation. The military research entity was ever so helpful in advising Sony on managing North Korea’s reaction to the film, The Interview. Regular invitations from RAND and hosting by Sony of RAND personnel, feature. The degree of power determines how visible its holder is. That, at least, is the principle. Sony is not necessarily as important as Assange makes it out to be, but it would be a mistake to assume that the company wields no measure of influence in the corridors of power. Film and propaganda are intrinsic enterprises of the political mission. Corporations have the front seats at the negotiating tables of Congress and the trade missions. Discussions and speculations about the role celluloid plays in affecting politics is undeniable. They tend to exist in the realm of the immeasurable, though their pull on the political process is hard to deny. British Prime Minister David Cameron, to take one example, did ponder the possible impact of Outlander on the independence reference in Scotland. Daft, yes, but still worthy to note in email traffic. Not earth shattering, and more cultural and geopolitical, but nonetheless significant as an agent of influence. After all, Cameron doesn’t mind traversing low brow cultures if a ballot is at stake. Some material from the trove is more direct and pungent. The company, unsurprisingly, has been a keen student of anti-piracy measures. A document by a Sony employee notes the activities of the Anti-Piracy Group in the company, covering content security, technology, business intelligence, enforcement, PR and education, public policy and commercial policy. He goes on to outline the strategies taken by the company regarding its business interests, using the language of universal relevance. What diminishes Sony’s profits, in other words, diminishes everybody’s. Sony gives the impression of a wounded giant, with thousands of employees who have been supposedly assailed by the dark forces of hacking. When queried, its standard response is that one cannot question a company about material that has been pilfered. But the other side of the argument – that WikiLeaks has merely unearthed a gossip train rather than a useful information trove – is similarly mistaken. Secrecy is not an inviolable charter for the powerful.